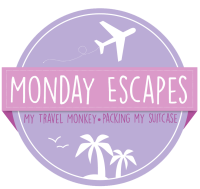 I still have two more Italy posts to share, but today I want to jump ahead to our recent trip to Montana! We had such an amazing time I couldn’t wait to share it. It was my first time in Montana and I absolutely loved it. It’s beautiful and the weather was amazing. After spending so much time inside, away from the Arizona heat, it was SO wonderful to spend time outside. 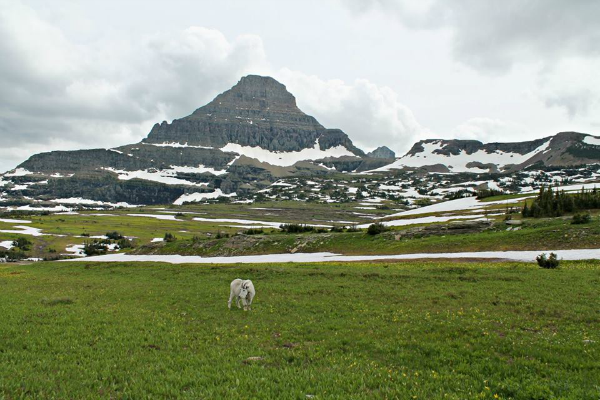 I’m jumping ahead to our time at Glacier National Park for this post, but there’s still a lot of trip left to share in another post plus one about traveling with the dogs! While we were in Montana we stayed in Missoula, so for our trip to Glacier National Park we decided to drive up in the morning, explore the park for the rest of the day, stay the night in a nearby town and then return to the park the following morning before returning to Missoula. Before I get into the details, I have to mention Stella’s Bakery in Ronan, MT. We stopped there for lunch along the way and were so happy with our decision. The sandwiches were delicious and the cookies were so good we bought extra to-go. I highly recommend stopping if you’re ever in the area. 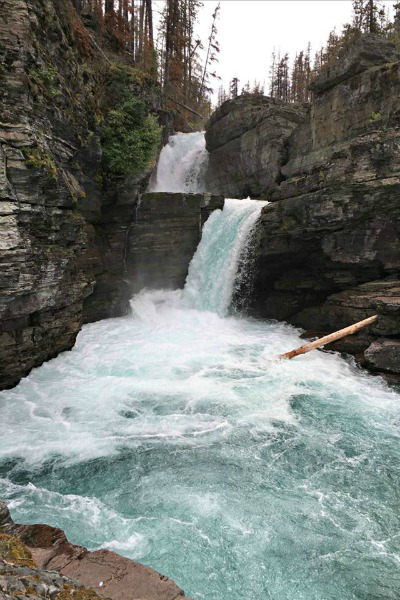 Anyway, let’s talk Glacier National Park! 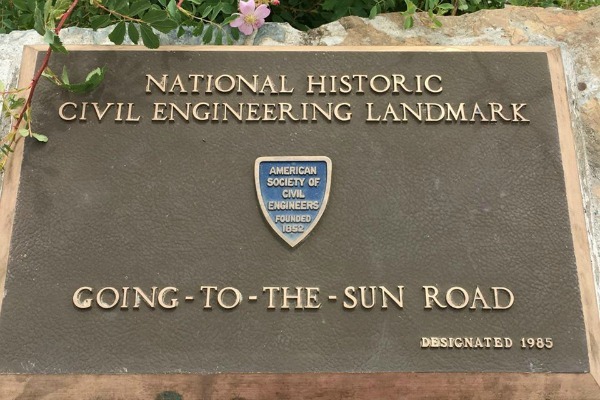 We arrived in the early afternoon and headed along the ‘Going to the Sun’ road towards Logan’s Pass. The drive has to be one of the most beautiful drives in the country. I made my boyfriend pull over multiple times so I could take pictures. 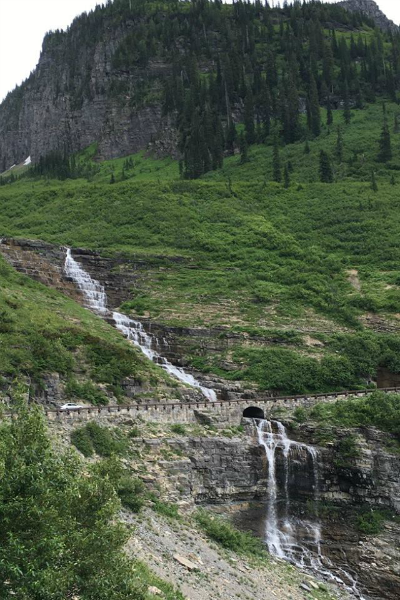 We finally made it to Logan’s Pass, our first hiking stop of the trip. 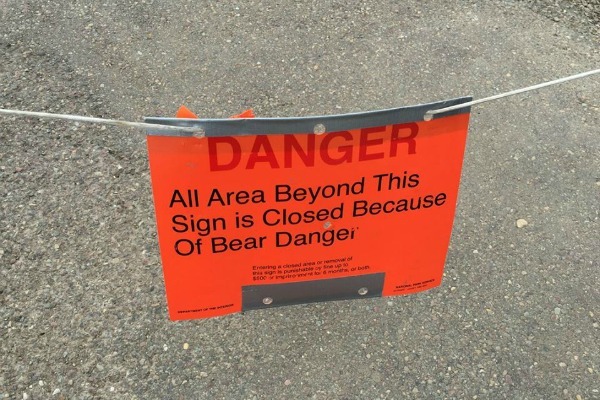 We lucked out finding a parking spot quickly and headed towards the start of the trail…only to find out it was closed due to bear activity! We overheard someone saying that there was a mama bear and two cubs along the trail, so they closed it for everyone’s safety. Luckily the stop wasn’t a total bust because the area is beautiful and there was a mountain goat grazing in the field! We didn’t have a backup plan and there’s no cell service in the park, so we kept on driving while I looked over the map for another place to hike. We made a quick detour at Lunch Creek and walked up the river a bit after seeing how pretty it looked from the car. 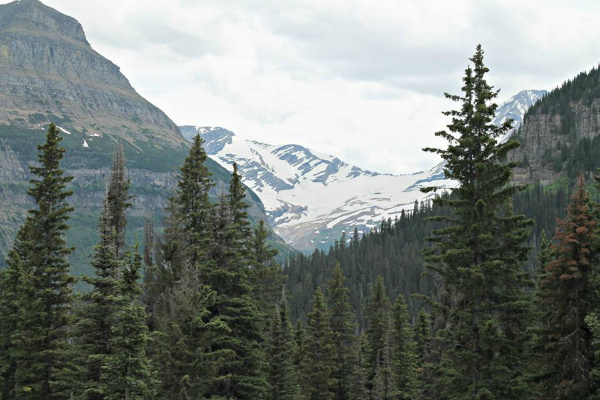 Once we were back in the car we decided to stop at the Jackson Glacier overlook. You can see the glacier in the middle of the picture. 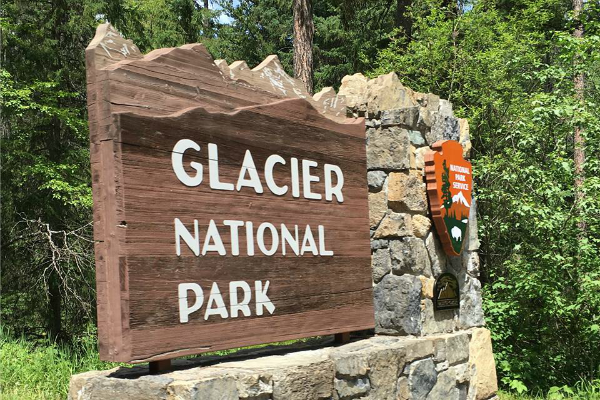 The sign at the stop said it’s predicted that all of the glaciers in the park will melt by 2030. Yes, 2030 as in only 14 years from now! We were both pretty upset to read that. 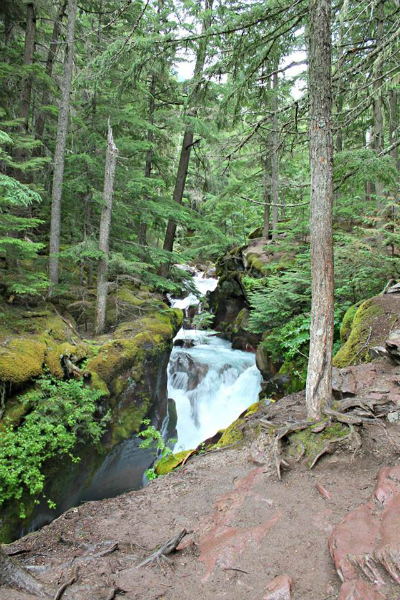 At this point we noticed that we weren’t far from St. Mary Falls, so we decided to do the 1.7 mile hike to the falls. We didn’t know anything about the falls going into the hike, but we were not disappointed. Maybe it’s because I’m from Arizona so I don’t see a lot of water like that, but I was stunned. We thought about continuing on to Virginia Falls, but it was getting late and we were getting hungry. We decided to call it a day, so we headed back out of the park towards our hotel in Whitefish. We weren’t sure where to stay in the area and we planned our Glacier trip two days before we left, so it was slim pickings. We ended up staying at Hibernation House by Whitefish Mountain Resort. It was cheap and had pretty good reviews. The place is no frills, but I would definitely recommend it for the price. Although it would have been easier to stay in Columbia Falls which is only 20 minutes from the park entrance vs. 45 minutes. 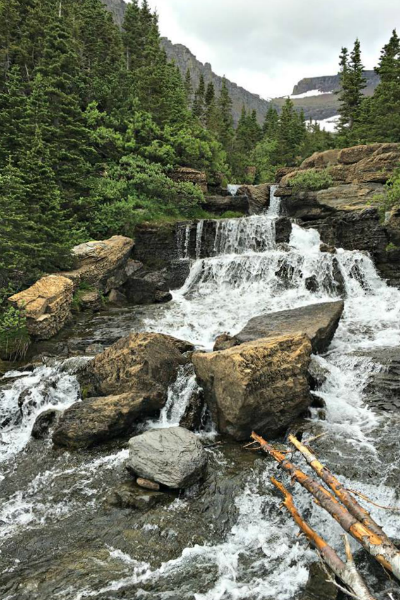 Anyway, for our second day at Glacier National Park we decided to hike the Trail of the Cedars and then continue on to Avalanche Lake. 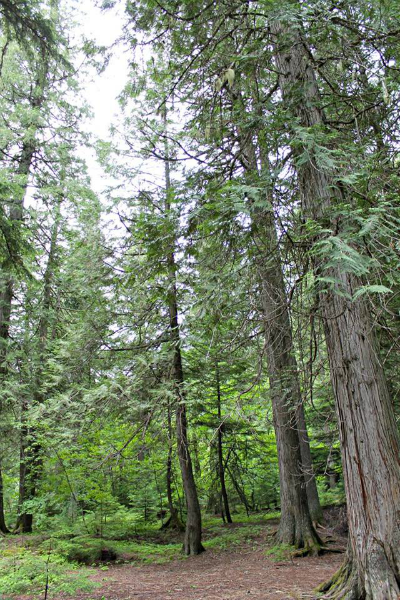 Trail of the Cedars is a flat, easy, wheelchair accessible hike. 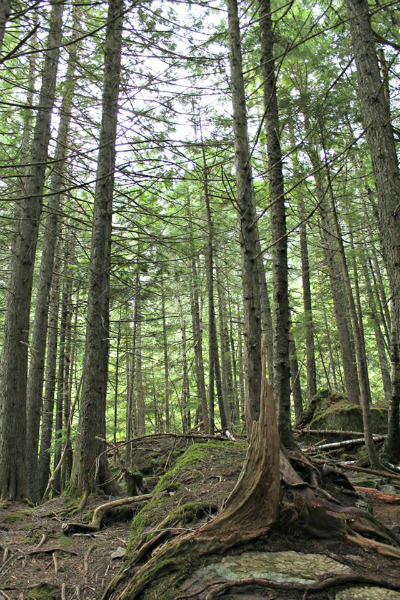 It’s a one-mile loop that passes through the cedar forest and Avalanche Creek. About halfway down the trail is the start of the Avalanche Lake trailhead. From this point it’s 1.6 miles to Avalanche Lake. The first part is a steep climb, but it’s not very long and has amazing views of the creek and gorge. Even if you don’t want to do the full hike, I recommend doing this part. It’s SO pretty! 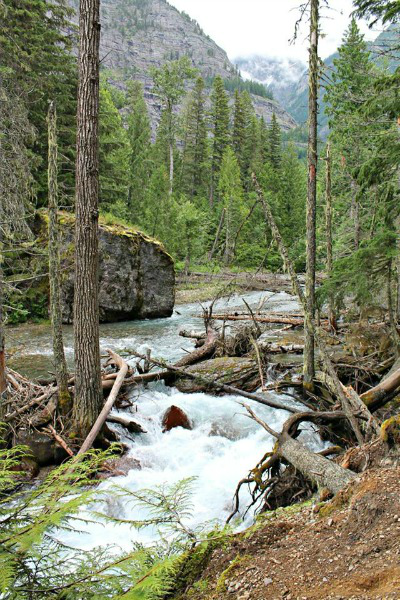 From there the trail follows the river for a bit until it veers off into the forest. A lot of the hike is uphill and I had to stop a couple times to catch my breath and get a drink of water. At one point we passes a couple who said it was only about 10 more minutes to the lake and I was thrilled. I’m not going to lie, I was getting tired and grumpy so that was definitely exciting news. Finally we made it to the lake and it was SO worth it. 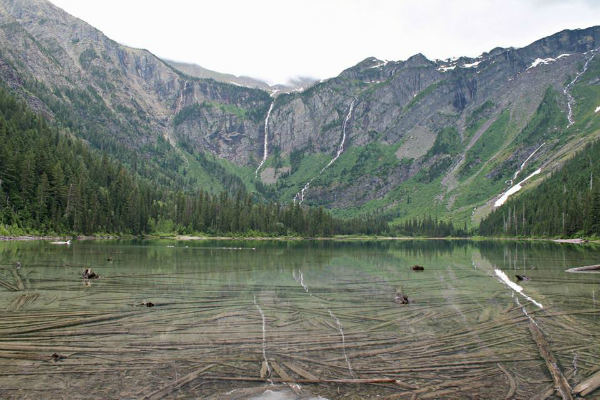 Avalanche Lake has to be one of the prettiest places I’ve ever been. 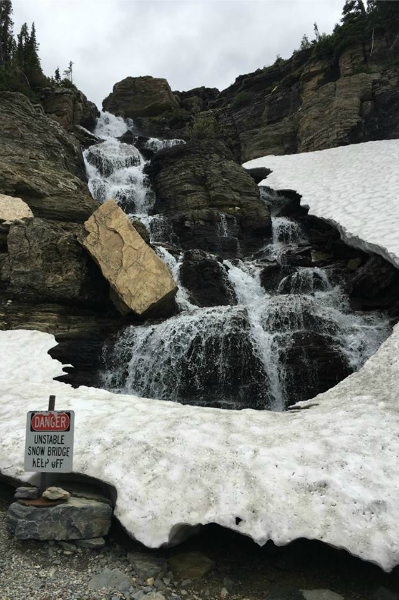 It’s hard to beat snowy mountains in July, multiple waterfalls and crystal clear water. Seriously, the lake is the clearest water I’ve ever seen. We sat on a log by the lake and enjoyed the scenery for a bit before we headed down. The hike back was really easy since it was mostly downhill (but not too steep). Once we got back to the bottom we walked through the same Trail of the Cedars path that we had done earlier since the bathrooms are on that side. So we ended up missing the other side of the loop, which I’ve heard is prettier, but we were pretty tired after all the hiking and needed to start heading back to Missoula. 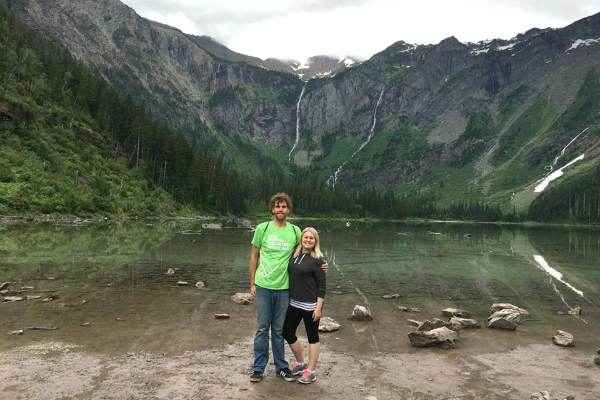 We had an amazing time at Glacier National Park and I would love to go back some day. There are so many other trails and beautiful places to see in the park. If you ever get the chance to go, do it! It’s absolutely gorgeous! Note: the entrance fee per car is $30 and the pass is good for 7 days. Also, pets are not allowed on the trails so we had to leave Ringo and Abby in Missoula. 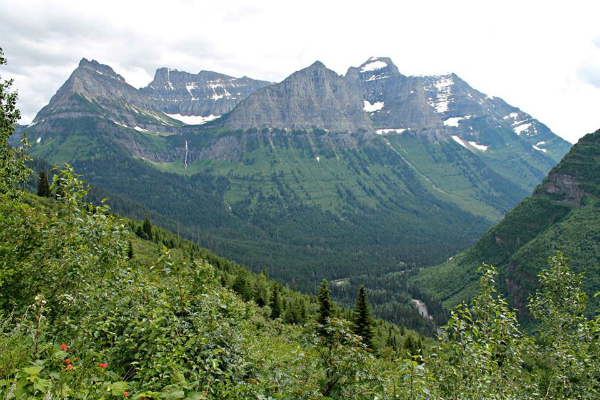 Have you ever been to Glacier National Park? If so, which trails did you hike? I’d love recommendations for next time! Oh. My. Gosh!! Jealous!! 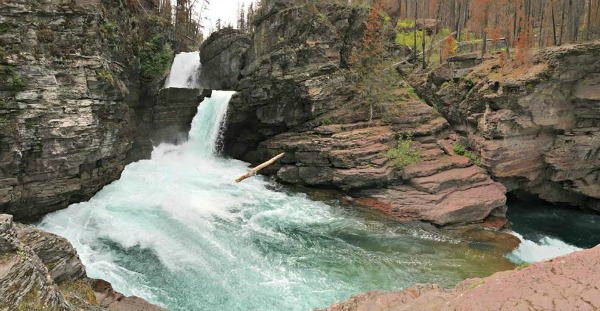 I haven't been to Montana since I was in high school and I have been itching to get back, especially to do some hiking!! 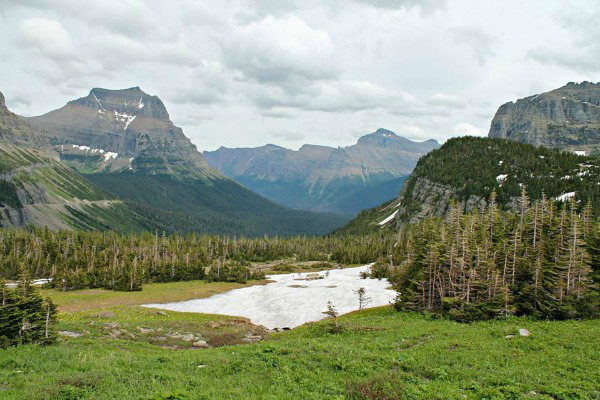 I was to go to Glacier NP so badly and this has me wanting to go even more! Hoping to get there soon!! Thanks for these awesome pictures and good recommendations. 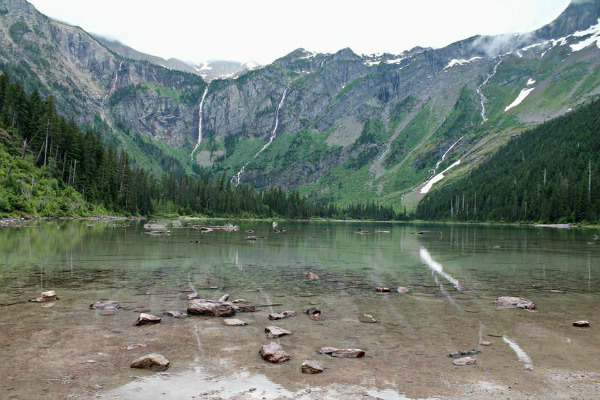 Avalanche Lake looks stunning in the pictures, so I can only image what it must look like in person!! 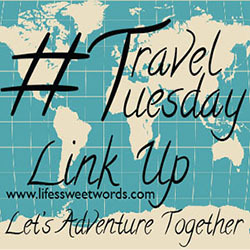 Glad you joined in so that I could see all the awesomeness that is this post!! 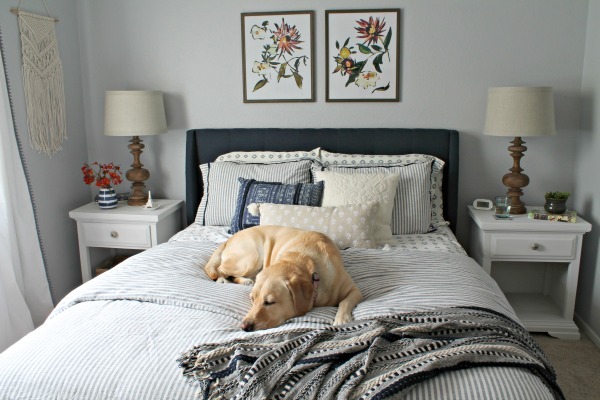 Gorgeous photos! Now I really want to go to Montana. Especially to escape this hellish heat!